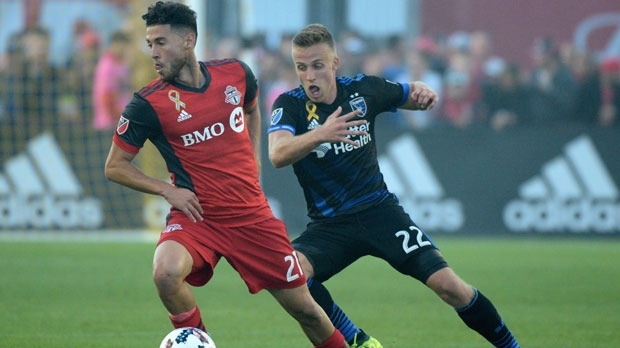 Fresh from another successful Canadian Championship title defence, Toronto FC returns to the grind of trying to claw its way into the Major League Soccer playoff picture on Saturday at San Jose. Toronto (6-12-5), which defeated Vancouver for the domestic crown, has struggled in MLS play this year but has showed signs of improvement of late. A road win over the last-place Earthquakes (3-13-7) is a virtual must if TFC is going to make a late-season push. "I think we go with the same mindset," head coach Greg Vanney said Friday from San Jose. "All of these games now down the stretch are obviously important. I think we're looking at probably somewhere in the ballpark of (needing) seven wins out of these last 11 games to really put ourselves in the mix. "So (we need to) play this game like it was Wednesday night in the final. We'll approach it with that mentality." The reigning MLS champions have just 23 points on the campaign and are seven points out of a playoff spot with 11 games to go. The Montreal Impact currently hold the sixth-place position but Toronto has two games in hand. However, the New England Revolution (29 points), D.C. United (24) and Orlando City SC (23) are also fighting to catch the Impact. Forward Jozy Altidore, who had a hat trick in a 5-2 win (7-4 on aggregate) over the Whitecaps at BMO Field, will not play after picking up a red card in last week's 3-2 loss to New York City FC. Defender Chris Mavinga is also suspended while midfielder Victor Vazquez (knee) and defender Auro (hamstring) will sit out due to injuries. 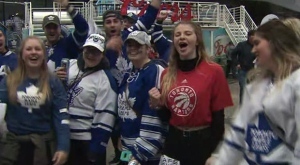 It has been a challenging period for Toronto with both cross-country and cross-continental travel required for this stretch of five games in 15 days. "I think the guys are eager to play so that's going to overcome anything that they might otherwise feel," Vanney said. "These guys are ready to go out and play for the season here over this next stretch." Forward Danny Hoesen has 10 goals this season for the Earthquakes, who have had a full week to rest for the game. Hoesen is followed by forward Chris Wondolowski and midfielder Vako with six goals apiece. "Like we did against Vancouver, we have to protect ourselves on their transition and not let them break out and get numbers running at us," Vanney said. "(We must) make sure we take care of the ball and do the things that I think we've done pretty well over the last few games. "If we can continue that and be efficient about how we go about it, then I think the game sets up well for us." After the San Jose game, TFC will return home to play the Impact on Aug. 25. HOME AND AWAY: Toronto has struggled on the road this season (2-7-3) but San Jose has just one victory at home (1-5-4). TRANSFER TALK: With transfer windows set to close this month, an ESPN report on Friday said a Serie A team and Ligue 1 club have shown interest in Altidore. Vanney said these reports are not a distraction and can be normal when you have good players, adding he hasn't heard anything internally about a club formally reaching out to Toronto FC. UPPER HAND: Toronto blanked the Earthquakes 4-0 when the teams last played in September 2017 at BMO Field. LOSING WAYS: San Jose is coming off a 2-1 loss to Colorado. Midfielder Shea Salinas will sit out the Toronto game due to suspension. ODURO ON BOARD: The Earthquakes acquired forward Dominic Oduro from Montreal on Aug. 8. He made his MLS debut in 2006 and played 24 games for TFC in 2014.